Should payments be made for historical wrongs? 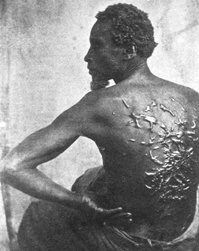 After the Civil War, efforts to compensate former slaves were blocked. Now calls are getting louder for payments to the ancestors of slaves to help the nation come to terms with a gross historical injustice. But opponents worry that reparations would only widen the divide between the races. Meanwhile, survivors of the Nazi Holocaust have had considerable success in obtaining restitution from governments and corporations linked to Hitler's “final solution.” Seeking reparations is not about money, they say, but about winning justice for the victims. But some Jewish Americans argue that the reparations movement has turned a historical tragedy into a quest for money. Other mistreated groups recently have picked up the call for reparations, including World War II “comfort women” and Australian Aborigines.